The Safe House offers the largest selection of commercial, residential, gun safes and storm shelters in the Knoxville area. We fully understand the importance of carrying only top quality products at a reasonable price. That’s why we work with the leading safe manufacturers to select safes and storm shelters that will protect what you value most. We are a factory authorized service & repair company provding services including lock combinations reset, safe rentals, vault doors, tornado and storm shelters. We also move safes in East Tennessee. No safe is too large or too small for us to move. Together, we can identify the solution that will best suit your particular needs and budget. 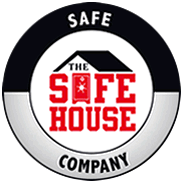 The Safe House can deliver and install your safe. Call or come by and visit our showroom today and check out our over 300 safe selection.